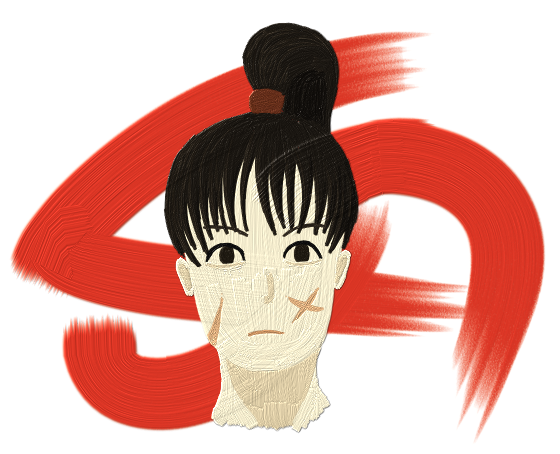 Stray Scribbles - "Samurai Painting"
I decided to try out Corel Painter to see if a more natural paint feel would help me paint digitally. Sadly the short answer is no, not really. It could just be that I’m too used to how Photoshop does things, but even though I noticed some really cool things Painter does I couldn’t see it working out for much. I guess in part I just have to stop blaming my tools (I have a Wacom Cintiq and Photoshop CS5, what’s there to blame anyway??) and realise that a real artist can make something with whatever he has, even if that’s just a toothbrush or some basic brushes and a kitchen knife.